Thanks, I'm definitely using 32/39 now. But my manual says 36/42. 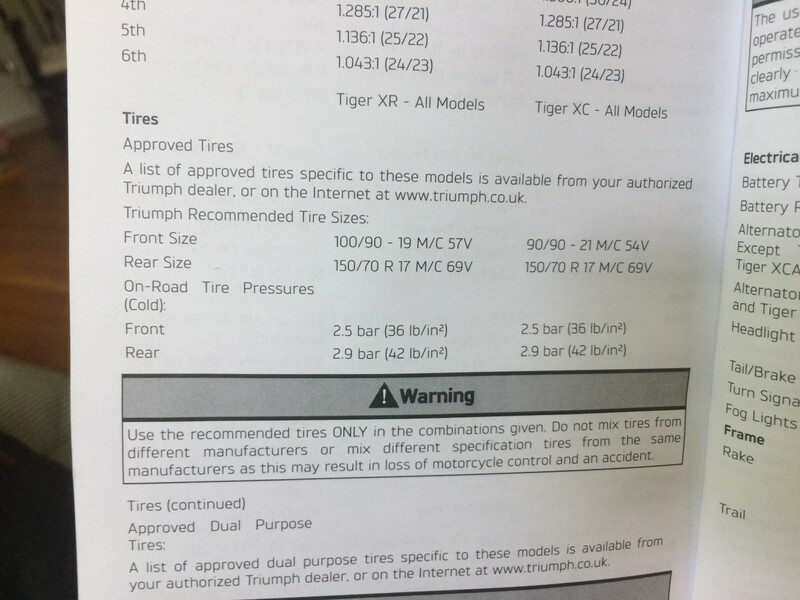 Maybe the U.S.A. got some misprinted manuals, or previous gen, or the copy editor went a little crazy changing all the "tyres" to "tires" and wanted to mess with us. Working together we all go to the bottom of the issue. What Shinko's are you running?? I'm about done with my stockers and were looking at them... 705's I believe. I was rather surprised how accurate my TPMS are = they agree with both my digital & mechanical gauges.